NAPA, Calif.—September 8, 2009—The wine landscape in USA restaurants clearly shifted in 2008, according to a report released today by Restaurant Wine magazine. 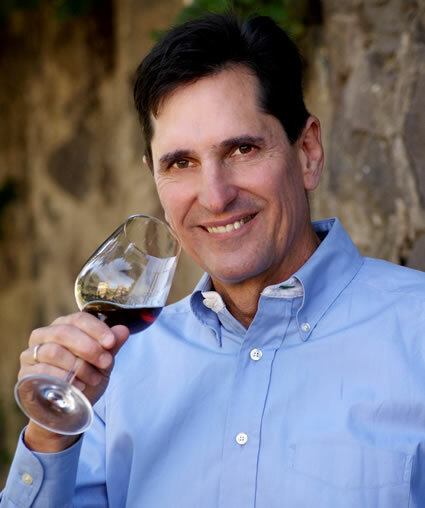 In two articles researched and written by Master of Wine and publisher, Ronn Wiegand, the Top 100 Wine Brands and Top 100 Wines sold in USA restaurants in 2008 are listed, based on total 9-liter cases consumed across the entire spectrum of American restaurants licensed to serve wine, from casual to fine dining restaurants and from bars and lounges to hotel banquet departments. It comes as no news that the on-premise wine market actually shrank in 2008. Wiegand estimates that the total market shrank by 5.5% in 2008, a decline of more than 1 million cases. However, established brands held their own, notes Wiegand in his report. “The Top 100 Wine Brands actually increased their market share in 2008,” he says, “rising from 42.5% to 42.9% of the total US on-premise wine volume.” He says that consumers were drawn in 2008 a bit more to ‘tried and true’ brands in restaurants, despite the overall decline in on-premise wine sales. One major surprise: in 2008, for the first time ever, Kendall-Jackson became the most popular wine brand in USA restaurants, outselling—bottle for bottle—every other brand on the Top 100 Brand list. As in previous years, wines from just three countries—the USA, Italy, and Australia—dominated the list, accounting for 93 of the 100 brands, and 95.8% of the Top 100 wine volume in USA restaurants in 2008. Both New Zealand and Chile gained one slot on the 2008 list; France lost two of its 2007 positions. Too, despite the weak economy, several wine brands actually increased their total on-premise sales in 2008, including ForestVille Vineyards (up 83%), Barefoot Cellars (up 50%), and Casillero del Diablo (up 26%). The minimum case sales in USA restaurants required to make the 2008 list dropped to 100,000 cases, down from 110,000 cases in 2007. Sales of the Top 100 Wines in US restaurants in 2008 were off 3.5% in volume, but significantly less than the total on-premise wine market (down 5.5%). But even as the overall market declined, the Top 100 Wines gained market share, rising from 23.9% of the total on-premise wine market in the USA (by volume sold) to 24.4% in 2008. As in previous years, varietal wines dominated the list, accounting for 83 of the 100 slots, and 83.7% of the total wine volume sold. Overall, white wines and rose (White Zinfandel) declined modestly on this list; red wines increased. The one category that showed significant growth was Riesling, up 16.7% in Top 100 volume sales in USA restaurants in 2008. The 5 wines whose on-premise volumes increased the most from 2007 to 2008 were: Schmitt Soehne Relax Riesling (up 37.5%); Barefoot Cellars Merlot (up 23.6%); Louis M. Martini Sonoma County Cabernet Sauvignon (up 15.8%); La Terre Chardonnay (up 15.4%); and Salmon Creek Pinot Grigio (up 14.3%). The minimum case sales in USA restaurants required to make the 2008 individual wines list dropped to 70,000 cases, down from 80,000 in 2007. Figures for both reports were drawn from reliable industry sources, and from extensive interviews with restaurateurs, distributors, importers, and wineries throughout the USA.. The “Top 100 Wine Brands” and “Top 100 Wines” lists are published only in Restaurant Wine, in the double issue (#131-#132). Single copies are available for $50/each in the USA, prepaid, or $56/each (prepaid in $US) in all other countries, and may be ordered online at www.restaurantwine.com or by calling (707) 224-4777. RESTAURANT WINE is a bimonthly journal on wine for the hospitality and wine industries, and has been published by Wiegand since 1988. Subscriptions are $109/year in the USA. Address: P.O. Box 222, Napa, CA 94559-0222. Yellow Tail Table Australia W.J. Deutsch & Sons, Ltd.
Mezzacorona Table, Sparkling Italy Prestige Wine Imports Corp. This article was posted in Press Releases.